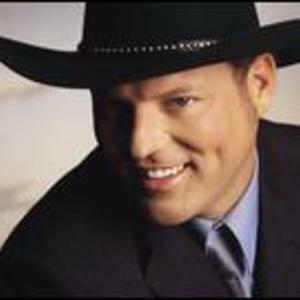 John Michael Montgomery (born January 20, 1965, in Danville, Kentucky) is an American country music artist. He has produced more than thirty singles on the Billboard country charts, including two of Billboard's Number One country singles of the year: "I Swear" (1994) and "Sold (The Grundy County Auction Incident)" (1995). Besides these two songs, five more of Montgomery's singles have reached the top of the country charts: "I Love the Way You Love Me", "Be My Baby Tonight", "If You've Got Love", "I Can Love You Like That", and "The Little Girl", while thirteen more have reached Top Ten. John Michael joined the family band (which also included his brother, Eddie Montgomery, who would later join Troy Gentry in the duo Montgomery Gentry) as guitarist before taking the lead singing role when his parents divorced. Afterwards, he made a frugal living on the local honky-tonk scene as a solo artist playing what he referred to as "working man's country." Eventually, Atlantic Records signed him.